Editor’s note: Today Streetsblog NYC is pleased to launch “Street Justice,” a new column that examines how the law, the courts, and the police affect street safety in New York. 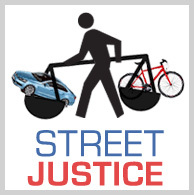 Street Justice is written by Steve Vaccaro and Adam White, two attorneys who’ve been valuable sources for Streetsblog over the years, adding an expert legal perspective to stories about cyclists and pedestrians injured in traffic. Their firm, the Law Office of Vaccaro & White, also pays for an ad on Streetsblog NYC’s sidebar, and I’d like to make clear that the new column is not part of the advertising arrangement between Streetsblog and the firm. While it’s impossible to completely separate the editorial and business decisions of an operation as small as Streetsblog, the decision to launch the Street Justice column was based on my experience relying on Vaccaro and White as sources, and on the potential for their expertise to illuminate issues of interest to our readers. I’m looking forward to running a new Street Justice every Tuesday. About 1 percent of New York State-insured motorists have driving records so poor that they are insured through the assigned risk pool. These motorists are “assigned out” to insurers, who, as a condition of being permitted to write auto insurance to good risks in the New York market, must each take their pro rata share of bad risks. “Socialism for bad drivers” is more like it. In fairness, the high rate of assigned risk drivers in Brooklyn reflects not only the carelessness of those drivers, but also the greater inherent difficulty and risk of city as opposed to rural or suburban driving. But this simply begs the question: Why we are subsidizing bad drivers who insist on driving in risky urban settings where, ironically, safer options such as transit, walking, and bicycling abound? …driving is too important for the insurance market to decide who can drive or not. Driving is so important that the government must, and does, find a way to get really risky drivers insured and on the road. This has the effect of making it less safe . . . . As making coastal insurance available to homeowners who insurers do not want to insure leads to inopportune coastal development, so mandating coverage of dangerous drivers likely leads both to more driving and to more bad driving. Isn’t it time we re-thought assigned risk pools — particularly for drivers with demonstrably bad driving records who live in New York City? right on. also shows why insurance companies should be involved in lowering urban speed limits, improving enforcement, and installing more traffic calming. all of these measures reduce crash rates and reduce the pool of ‘bad drivers’. I would love to read more about the history behind the decision to create the NYAIP, or, if more revealing, wherever and whenever such a program was first created in the U.S. Steve, did you come across any such historical/background info in the process of writing this? I see that the NY program was created under Article 53 of New York Insurance Law, which appears to have been last modified a year ago. But not being a lawyer, I have found it very difficult to use that small amount of information to learn much about when, how, and why the law was created. Is the risk pool based solely on driving records, or is it also there to account for the fact that cars in Brooklyn are (presumably) more likely to be stolen or vandalized than the state average? Finally a real explanation as to why the insurance costs for non-bad drivers are so high in Brooklyn compared with anywhere else. I’ll bet if people in Nassau were having to carry that risk, rather than shifting it to Brooklyn, they’d be more likely to do something about it. Moreover, those who admit we are from Brooklyn end up carrying even more of that risk, since so many Brooklyn drivers pretend they are from elsewhere. The counter-risk to assigned risk policies is more uninsured drivers. The uninsured raise the possibilty of being injured with no recompence if you are a pedestrian or cyclist. For drivers, the losses would be covered by one’s own “uninsured/underinsured driver” coverage, as second form of socialized losses. You have to insure against other people’s uninsured bad driving. I’m told that one-third of the drivers in Oklahoma, where my sister lives, are uninsured. One-third. And one third of your auto insurance premium goes to the “uninsured/underinsured driver” coverage. Of course, pedestrians and cyclists do not have such coverage. Weird/vaguely disturbing to see a lawyer of all people using “begs the question” to mean “raises the question.” I really thought that was a narrowly construed term of art for law folks and logicians, if no one else. The argument for this arrangement is that if there was not a way for this pool of drivers to get insurance, they would just keep driving without any. “Is the risk pool based solely on driving records, or is it also there to account for the fact that cars in Brooklyn are (presumably) more likely to be stolen or vandalized than the state average?”Neither. Rates are sky high just for liability insurance, which the theft/vandalism rate does not affect. But insurance companies don’t just use driving records. They use credit scores and other demographic characteristics.There is also a division between “Brooklyn Urban” and “Brooklyn Suburban,” at least in the Allstate rates. For you historians…according to this article, the first assigned risk program was statutorily enacted in 1938, and by 1954 most or all states had them. Both Counselor Vaccaro’s article and the linked Prof. Wriggins article are extremely informative. I think if you asked Wriggins why the NYPD so often declares, “No criminality,” she would say that this response is just another facet of how public policy favors driving as an activity. If poor drivers couldn’t get insurance, then perhaps the police would be more receptive to criminal investigations, as they are in domestic violence cases (which Wriggins discusses as a tort-producing activity, similar to driving, but without the insurance pool). While I’d love to revoke the driving privilege of the 1% worst drivers (and do so iteratively, as then there’d be a new “worst 1%”), let’s suppose for a moment that would be socially and/or politically impossible. Consistent with the above – shouldn’t insurers be protected against these bad risks? Should they not be specifically authorized – nee, compelled – to outfit the cars of these reckless drivers with dash cameras/speed governors/external airbags and all manner of expensive equipment ensuring the safety of those who would be harmed, and accountability of those who would do the harming? (all costs of these items paid by the insured, of course). Elated to see debut of this groundbreaking new column. I’m perplexed as to how a 1999 study could find 46% of B’klyn insured drivers assigned to a risk pool that’s intended to cover the worst 1%. (I clicked through the link but it merely went to the Daily News home page.) What am I missing? I love the @c44dc01f8107c1b33104b538f33b734d:disqus idea below! Features like this are why I keep coming here! Great article. Very disturbing also that public policy is actually keeping bad drivers on the road. Try this version of the link to the Daily News story–I tried to find the report mentioned in the story, but couldn’t. Charlie, an incredible number of Brooklyn drivers register their cars out of town or out of state, and pay the out of town insurance rates. These are primarily the better drivers, so they are not counted in the performance of Brooklyn’s resident driver pool. Further, I believe that rates are based on the total of all crashes and their costs that occur in Brooklyn, regardless of driver’s home registration. So when a car registered in Nassau County or Florida crashes in Brooklyn, it counts against the smaller remaining pool of Brooklyn registered drivers, and not against their home base. So when you add up the crashes to/caused-by pass through bridge-and-tunnel traffic, and out-ot-town registered Brooklyn drivers, those who actually use their Brooklyn address don’t look very good. If we ever get resident parking permits, all those out-of-town registrations will be “aliens” ineligible for local neighborhood permits. Not the Hunger Games, but the Parking Games…. In 2000, my son got a driver’s license. We were faced with an interesting dilemma, list him on the insurance for our one car kept in Brooklyn, while he was a student at RPI – Troy, NY, with no daily access to this car. Or, buy a the family a second car that he would own and register in Troy. It turned out to be far cheaper to have a second car registered upstate, than to list him as another driver to our one car, even though in school he was far enough away that he would not be driving that one car very often. And by cheaper, that includes counting maintenance of the second car and enough operation savings to come out ahead, counting the cost of gas to Troy versus taking Amtrak. Like cars or not, good drivers or bad, the Brooklyn insurance rates do not compute. @twitter-22824076:disqus Thanks Steve, the new link indeed goes to the 1999 Daily News story. But I have to question the one-percent figure in your (excellent) post. The 46% of Brooklyn drivers in the assigned risk pool probably constitute around 4% of NY State drivers, right there. Doing other magic with percentages, I’d quick-guess that 25-30% of the state’s drivers are in the ARP. Can you check? Or have I misconstrued something? I can’t wait for more. Thanks, Vacarro and White, and Streetsblog — this column will become another indispensable resource for complete streets advocates. Dangerous drivers are getting what is truly an entitlement — entitled to drive despite the harm they inflict on the rest society. What does pay by mile have to do with assigned risk? What happens to a motorist with Florida/PA/OH plates, and license, who get pulled over while driving without insurance? If memory serves, they get a summonses and penalty up to $750, but no points on their license. They can probably then ignore the summonses until they get pulled over again, maybe longer. An NYC DOT license survey of vehicles parked at the curb in Northern Manhattan found that 1/4 or more vehicles had out of town plates, this is consistent with NYS Insurance Dept research. So, what real difference would getting rid of assigned risk in a place like NYC make? Who would stop driving? And, what happens to pedestrians and cyclists injured by motorists kicked out of the assigned risk pool? This explains why one sees so many Pennsylvania plates in Brooklyn residential neighborhoods — the insurance rules encourage bad faith acting. It should be of note that a significant reason why auto insurance rates are much higher in Brooklyn than any of the other four boroughs, is because the Russian Mafia is notorious for staging fake accidents for insurance fraud. JK: We “can’t have socialism in one nation,” and so maybe we can’t reform assigned risk programs in one state either. With respect to those kicked out of the assigned risk pool, but who continue to (illegally) drive uninsured: when they injure or kill, the victims are compensated (modestly) by a state-created “insurer of last resort” called the Motor Vehicle Accident Indemnification Corporation (MVAIC). MVAIC is funded by each insurer that writes auto insurance in NY state, proportionally to the amount of premiums collected. It is reasonable to assume that the cost of MVAIC, which distributes the bulk of its beneifts to pedestrians and cyclists, is passed along and spread out among all purchasers of auto insurance. The MVAIC device is highly imperfect, but it does effect a net transfer of value from motorists to vulnerable street users, not just shifting around of societal costs among different groups of auto insurance purchasers. At a minimum there should be a sort of scarlet letter put on the front sides and back of the cars so everyone knows they are dangerous..
Isn’t it good that the insurance rates for drivers in Brooklyn are higher than they should otherwise be? This is incorrect. I am a P&C Insurance broker, which allows me a certain leeway to say this. The NY Auto Assigned risk – all assigned risks throughout the country – are not here to insure “bad drivers”. They are here to insure uninsurable risks. The risks that I have had to place in the assigned risk market were there because other insurance companies did not want to touch them based on the risk itself, for example risks that were commercial vehicles transporting hazardous or biological materials such as transplant parts, risks that were unique and could not be classified, or risks that had to engage in an activity that make them high risk. Moreover, your interpretation of what we like to call “the law of large numbers” is misleading. Many risks placed into the assigned risk pool show no or little losses, and premiums with most carriers (Progressive admittedly an exception) are determined by the losses, not by the driving records of the drivers. That means that, regardless of who insures you, a 5 year loss run report on the insured ultimately determines the discount on the premium and yes, the garage location of the vehicle, which may simply reflect the high degree of car theft in the neighborhood. Want a lower rate? Report no claims, and move to an area that has the lowest car theft reports in the state. If it weren’t for the assigned risk pool many essential services that we don’t even think about would be impossible to get done, like transporting eye tissue for transplant. What insurance company wants to insure that, no matter how clean a record? What if the eye tissue gets damaged?! Those are what we call “rate evaders” and believe me if they get caught (and the do) their rates will go up or they may be dropped. I have had several people who live in NY and try to use out of of state insurance. I refer them to the underwriter.